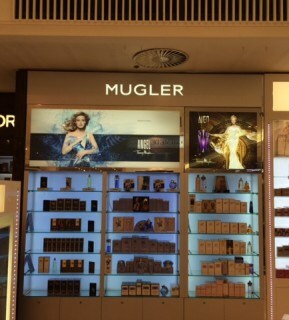 The Thierry Mugler brand is evolving its identity at retail as they set to unify their fragrance lines under one single brand name and logo. This Paris based fashion brand was launched in 1973 by designer Thierry Mugler and since then has worked with the Clarins Fragrance Group to retail its distinctive fragrances such as Angel, Alien, A*Men and many more. 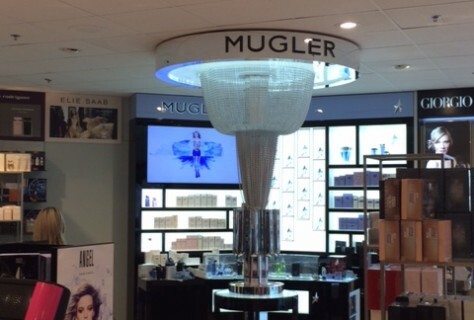 D4R are currently undergoing changing the old logo to the new ‘MUGLER’ ident on various permanent retail concessions across the UK as the global rebrand takes place.